With ever-growing compliance obligations, such as the GDPR and NYDFS, a records management system is no longer sufficient in meeting compliance needs. As a result, information governance is becoming an essential fixture in the lives of businesses around the globe. 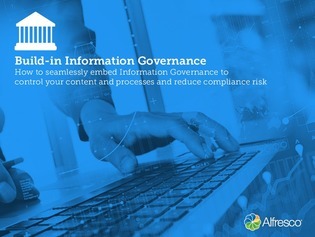 Download the e-book to discover best practices for invisibly embedding information governance into your ECM system and content-driven processes.